The rooms of the HLG CityPark Sant Just hotel have been designed to accommodate business travellers, groups and guests of events, with all types of luxuries. 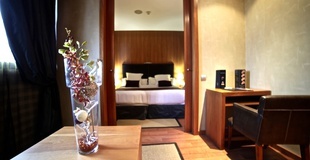 Choose your room in Sant Just Desvern from here, on the official website of the HLG CityPark Sant Just hotel. Open, luminous and modern in style, the standard double rooms of the HLG CityPark Sant Just Hotel offer you a fully equipped bedroom with a matrimonial bed or 2 beds depending on availability (on request), full bathroom room with hairdryer, safety deposit box, mini fridge, Internet, TV and telephone. 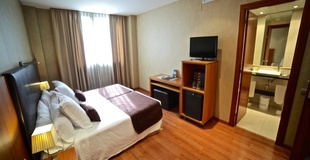 The ideal room for couples, families… near the centre of Barcelona. Free cot available on request. Bed size 1.50m x 2m or two beds of 1.05m x 2m. 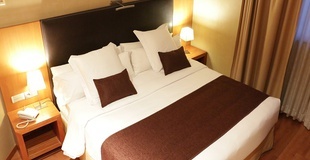 Choose your double room in Sant Just Desvern. 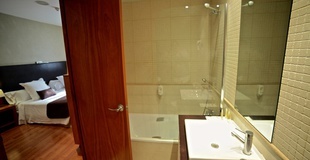 With a minimalist design, the individual rooms standard of the HLG Hotel CityPark Sant Just have a great house, a complete bathroom with hair dryer, in-room safes, mini-fridge, Internet, background music, TV, phone ... everything is thought to ensure you maximum comfort, on measure. Free cot available on request. Full hosting in Sant Just Desvern. 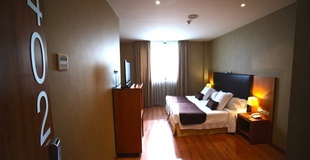 With a modern and functional style, the standard single rooms of the HLG CityPark Sant Just hotel offer a large bedroom, full bathroom with hairdryer, safety deposit box, mini fridge, free Wi-Fi, TV, telephone…. All you need to ensure the maximum comfort. Free cot available on request. A complete accommodation in Sant Just Desvern. 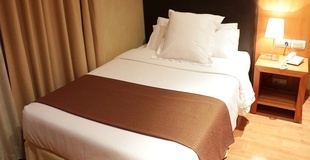 The standard triple rooms of the HLG CityPark Sant Just Hotel have the same services as the rooms before but, they also offer the possibility of incorporating an extra bed or a sofa bed, increasing its capacity to 3 people. Free cot available on request. Triple rooms in Sant Just Desvern. 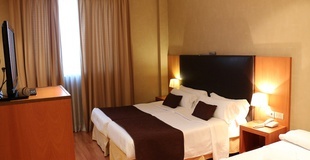 The Junior suites at the HLG CityPark Sant Just Hotel combine a stylish design with comfortable services in a large, bright room with lounge area, large bathroom with dryer, TV, safety deposit box, mini fridge, telephone, free WiFi... Free cot available on request. 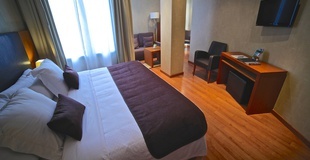 An exclusive accommodation facing the Park of Torreblanca. 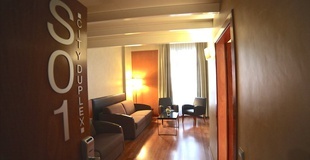 The duplex rooms at the HLG CityPark Sant Just Hotel are a space full of elegance, good taste and comforts. Designed for you to enjoy as a couple or as a family. 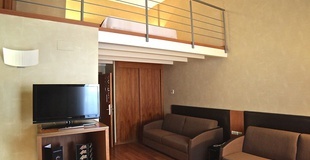 With 2 different ambiences, it offers a bedroom, living area, bathroom, hairdryer, TV, free Wi-Fi, safety deposit box, mini fridge... Maximum capacity for 4 people. Free cot available on request. A duplex for 3 persons next to Barcelona. 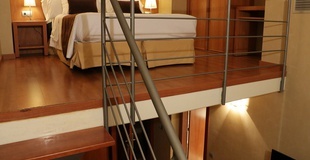 The suite of the HLG CityPark Sant Just Hotel is our most luxurious accommodation. Here, you will find all kinds of treats and amenities with which to enjoy a dream holiday in Barcelona, whether for business or leisure. 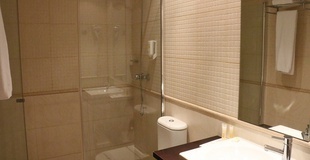 The suite has bathroom with hydromassage bathtub and shower, living room, hairdryer, TV, safety deposit box, minibar, free WiFi, telephone... Free cot available on request.